I am a Board Certified Hypnotist and Certified Hypnotist Certification Instructor with the National Guild of Hypnotists – the world’s largest professional association of hypnotists. I have practiced in Rhode Island and Southeastern Massachusetts since 1998 and my work has been featured on both NBC and ABC National News. My ideal client is someone who is ready for a big change in some area of life such as smoking, weight, stress, career, health or relationships. My Possibilities Process TM is designed to help you turn thoughts into reality through hypnosis and hypnotic coaching. I will guide you through hypnosis and inquiry to create new possibilities: become a non-smoker, lose weight and keep it off, better able to handle life’s stresses and deal with many, many other issues. I wrote the book The Hypnotic Coach to explain how it works. You’ll receive a free copy at our first session. How did I get into Hypnosis? I was always fascinated by the mind and consciousness. Earned a Bachelors in Psychology, but also read widely, meditated, studied. In my early 30s I was working as a Madison Avenue copywriter (Duncan Hines Cakes, Crisco Shortening, Jeep Vehicles) and a colleague went to a hypnotist for creativity. He got great results. I went. I got great results. And I just had to know more about this hypnosis thing. I took courses and became a Certified Hypnotist. That was over 30 years ago. Today, helping people change, heal and grow is my passion and life. I see myself as a catalyst for people who are ready for a big change in their lives. Smokers. Those suffering with weight, alcohol, drug, other destructive issues and habits. 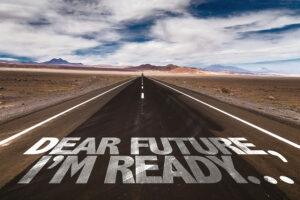 My question to you will be are you ready for a change? If the answer is yes, I will do everything in my power to help you make that dream a reality. This interview on my upcoming presentation at the National Guild of Hypnotists International Convention will give you an idea of how I approach personal change. from a Barrington Times article. You will find an article the Barrington Times did on me by clicking here! First, I am a board certified hypnotist who has practiced hypnosis for over 25 years (Rhode Island and Massachusetts since 1998). 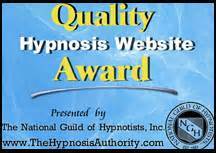 My certification is by The National Guild of Hypnotists, the world’s largest professional hypnotist association. It requires ongoing education and demands rigorous ethics. I have an undergraduate degree in psychology (Hofstra University, 1970) , a MA in Anglo-Irish Studies (University College, Dublin, Eire, 1971) and was inducted as a member of Rhode Island Mensa. I am a former award-winning advertising copywriter (Duncan Hines Cakes, Crisco Shortening, Jeep Corporation) and was founder and CEO of Catalyst Marketing Communications in Providence, Rhode Island. 1976 – Attended the American School of Hypnosis in New York City. Certified as a hypnotist by the National Guild of Hypnotists. 1983 – Developed Hypnovision™ Video, the first video program to use both hypnosis and subliminal messages. Hypnovision was featured on NBC and ABC national news and in many national magazines and distributed nationally by Waldenbooks, Barnes and Noble, B. Dalton and other outlets in the mid-1980s. Thousands of people have benefited from these programs through rentals, libraries and treatment programs. Weight Loss, Stop Smoking, and Stress Release Hypnovision programs were published in the 1980s. I added New Millennium Stress Release Video in 2000. 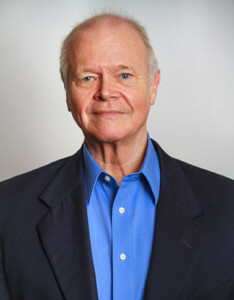 1988 – 1998 – Training as a coach in Landmark Education’s Self Expression Leadership Seminars. Since 1998 – Full-time practice of hypnosis and HypnoCoaching helping people (particularly in Rhode Island, Southeastern Massachusetts and Connecticut) lose weight, stop smoking cigarettes, reduce stress and make many other personal and career changes. Advanced coursework in hypnosis and hypnotherapy at New England Institute of Hypnotherapy with specialized courses at other schools. Tobacco Cessation Specialist training at Massachusetts General Hospital and “Foundations of Addiction Counseling” at RI’s D.A.T.A. program. 2007 – Co-created with Jane Jansen of the Tree of Life Wellness Center the InControl Weight Loss Program, a seminar series that is helping participants lose weight and keep it off. For the InControl Program I produced 9 new hypnotic CDs on topics such as Night-time Eating, Exercise Motivation, Eating Healthfully at Restaurants, Body Image and other weight loss topics. 2009 – Created and lead “Out-of-Work but In-Control”, a free public service group combining hypnosis and coaching for unemployed. Featured locally Channel 10 with Brian Crandall and Channel 6. 2010 – Board Certification by the National Guild of Hypnotists. One of fewer than 400 Board Certified Hypnotists in a national organization of over 10,000 professional members. I don’t claim to have all the answers in any aspect of life. But I am clear that I am an effective catalyst in helping people find their own best answers. Former advertising agency owner/creative director. I am someone who has a clear understanding of what it takes to be in a business and the steps needed to make it a success. My personal experience – I have thrived despite my own diagnosis of Attention Deficit Disorder – I have a track record of turning ADD into a personal asset. Also, I am someone who has benefited and still benefits from being coached to achieve my goals. That is enough about me. From now on, it is all about you. So, are you ready to start living your dream? Whether it is becoming a non-smoker, lose 50 pounds, get over a bad breakup, start a career, live life alcohol or drug free or simply end the crippling effects of procrastination, let’s talk and see if hypnosis is not the answer you have been looking for.